We have attended the world biggest motorcycle event EICMA 2013 in Milan, Italy. Thanks to our partner, Bonamici Racing Italy for the invitation. 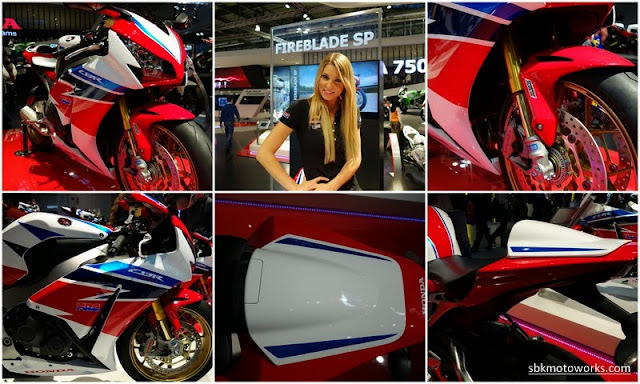 So many bikes and pictures but the only bike this year that caught most attention is the new Honda Fireblade SP 2014. We'll try to upload more pictures here, in the mean time here is the new Fireblade SP!